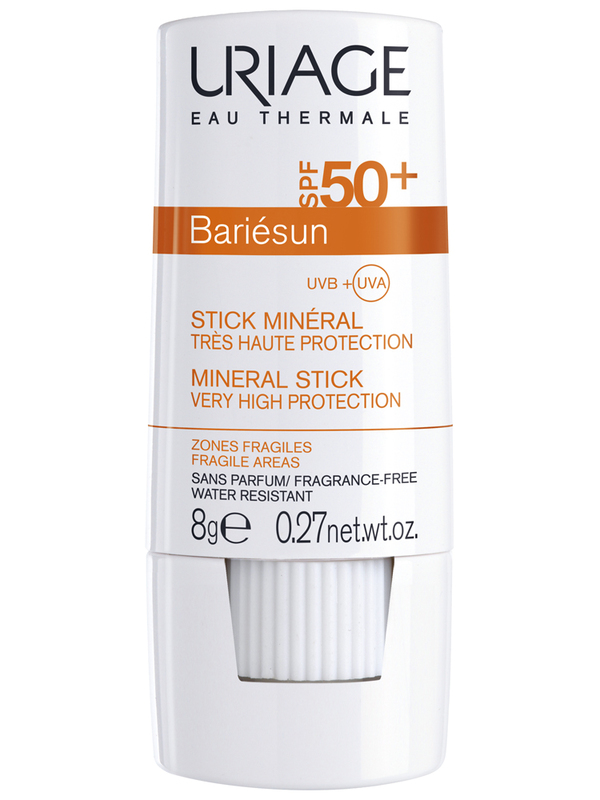 Uriage Bariésun Mineral Stick SPF 50+ 8g is a very high sun protection for fragile areas such as hands, ears, nose, scalp, wounds and marks. The formula of this stick contains a mineral complex that protects UVA and UVB, shea butter, borago oil, vitamins A, E, C and avocado unsaponifiables, and does not contain: chemical filters, alcohol, fragrance. It is hypoallergenic and resistant to water for an optimal protection against the negative effects of the sun. 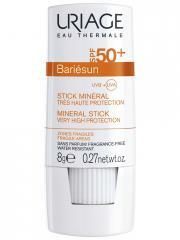 This care on stick size is essential in case of intense sun, and its small size is very practical to take it everywhere. Apply on hands, ears, nose, scalp, wounds and marks. Indication: Very high sun protection for fragile areas.